Hi everyone! For this post I was inspired by the lovely Victoria's Secret angels. They are the epitome of confidence and sexiness and seem to glow from the inside out! I absolutely love their radiant skin and bronze, sultry eye makeup. So much so that I thought I would try and recreate their seemingly effortless look. I think everyone dreams about looking like Miranda or Doutzen, but with the right hair and makeup we can at least pretend for a little while! Hope you enjoy! 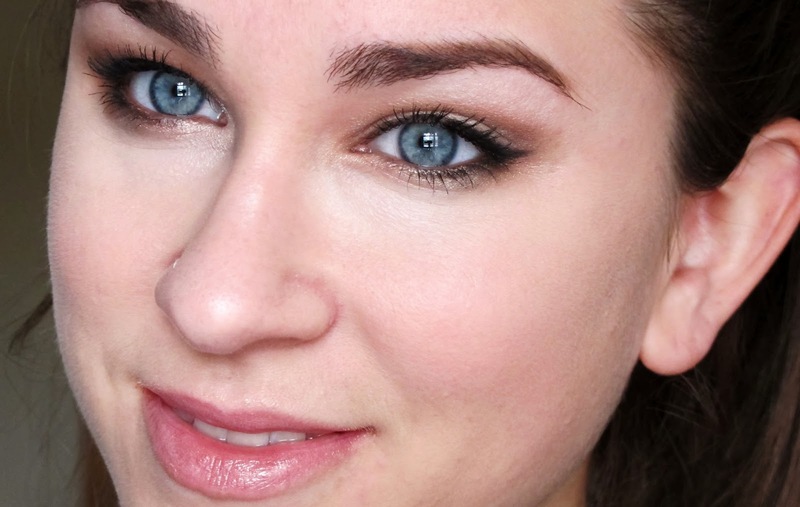 To begin this look I'm using one of my all time favorite products, MAC's pigment in Naked. Its the most beautiful and effortless bronze color. As usual, wet your brush and dip it into the pigment. Then press the pigment onto the skin and smooth it out. I placed this all over the lid and all along the lower lash line. 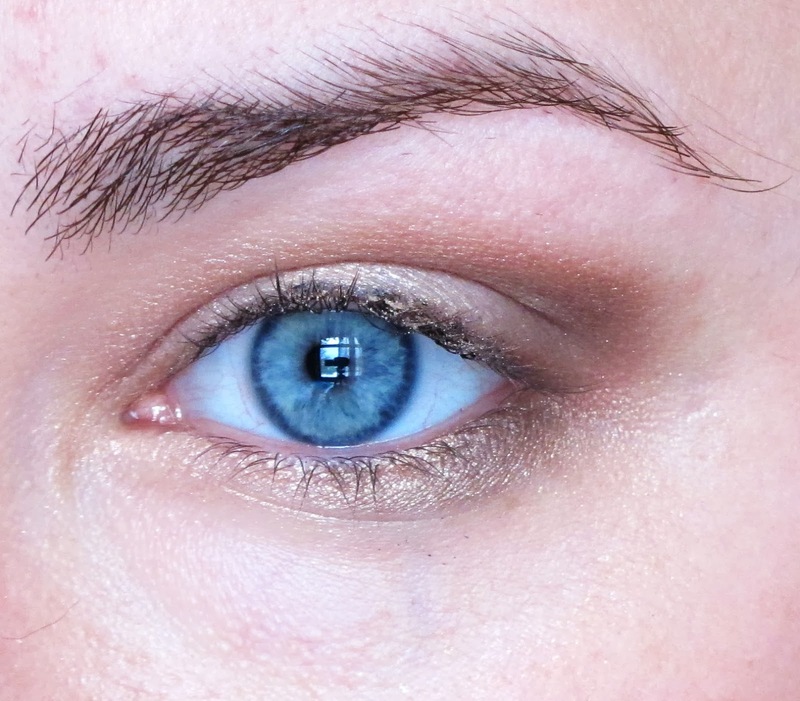 I wanted to layer a few bronzey colors to achieve a sense of depth with the eye makeup. 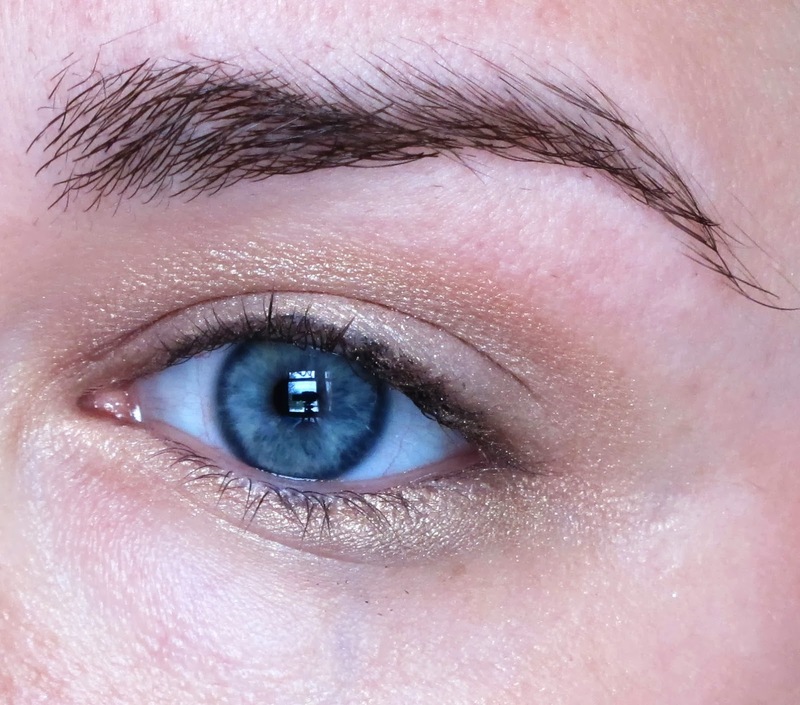 So I used Half Baked from the Naked 2 palette and placed it through the crease, above the Naked pigment...take this color all the way into the inner corner. Also, run it along the outer corner of the lower lash line. 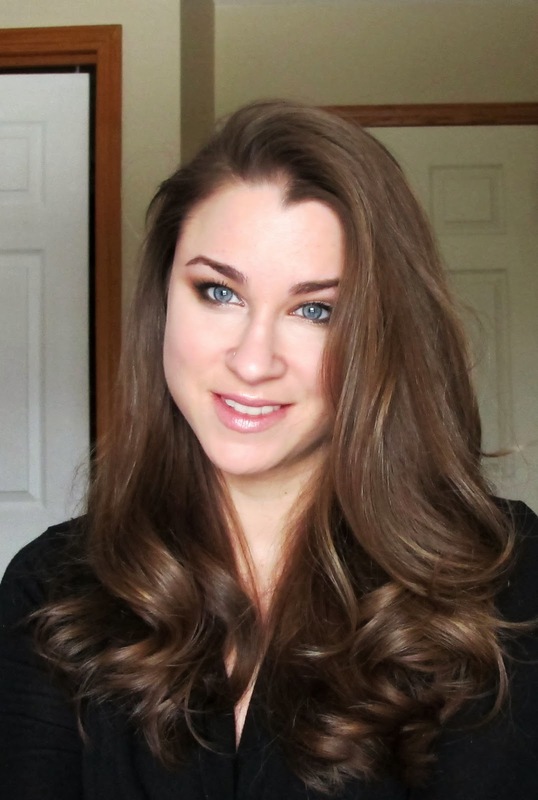 To create the smokey effect, I used the darker color from the Bare Minerals Epiphany ReadyEyes duo (I have lost my MAC Dark Brown...any dark brown color will do) and blended it gently through the crease and just on the outer corner. Use large fluffy brush and a circular buffing motion. 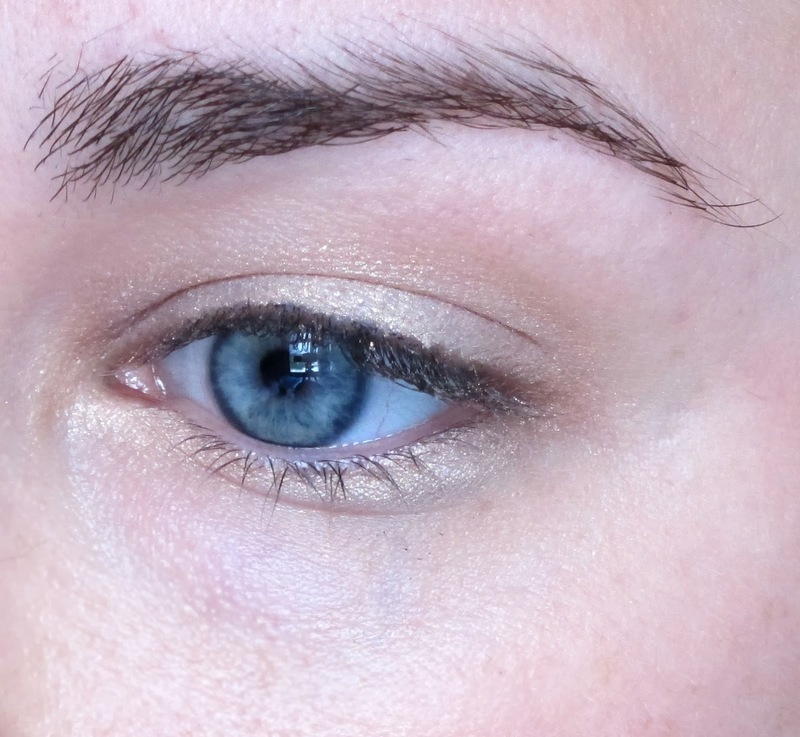 Also run the color gently underneath the outer corner of the eye. 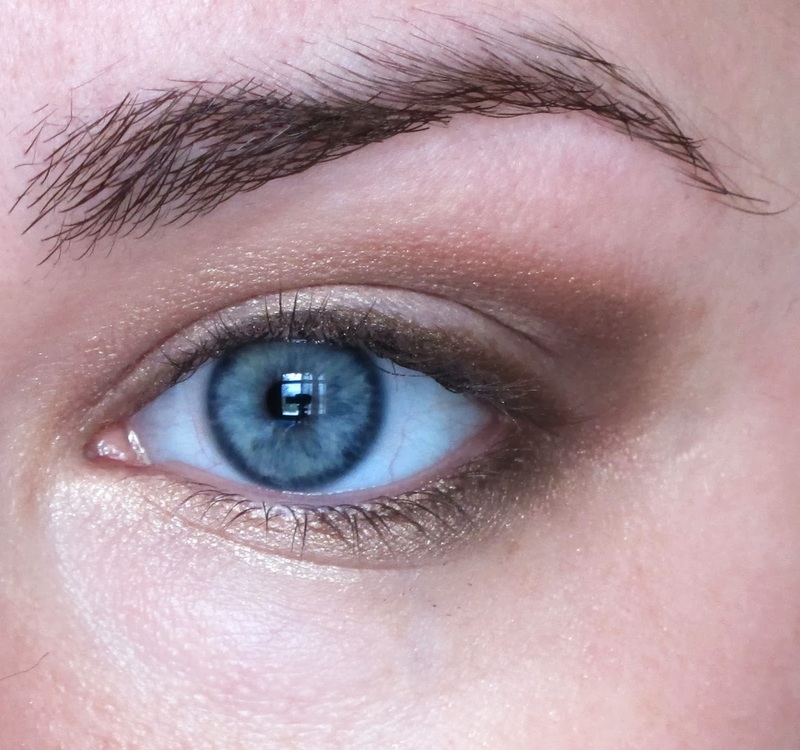 Concentrating the color away from the upper lid will make your eyes look larger and more awake. 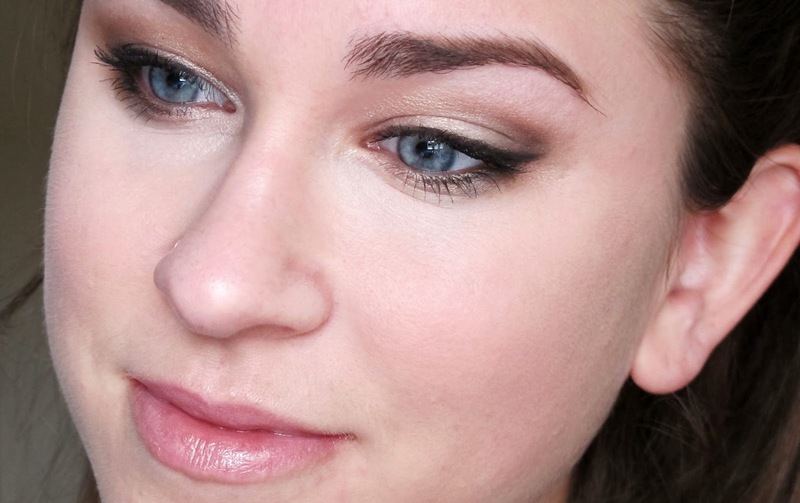 Next, use a dark brown eyeliner and buff it into the outer corners of the upper and lower lash lines. Blend out any harsh lines. Almost there! 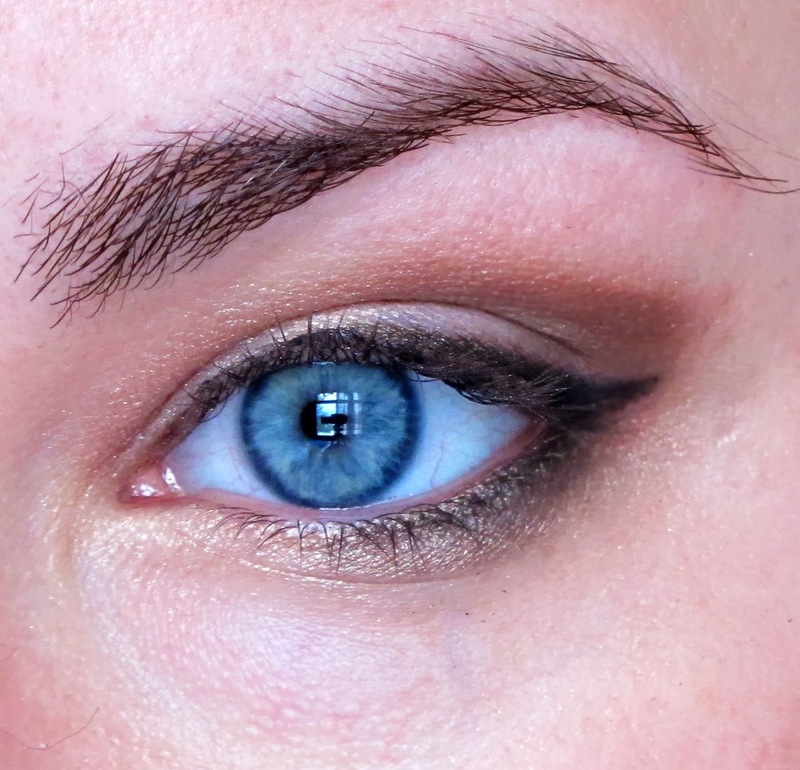 Use a very dark brown or black shadow (I used Crave from the UD Naked Basics palette) and an angled brush and run it along the upper lash line, creating a wing. Also place it on the outer corner of the lower lash line. 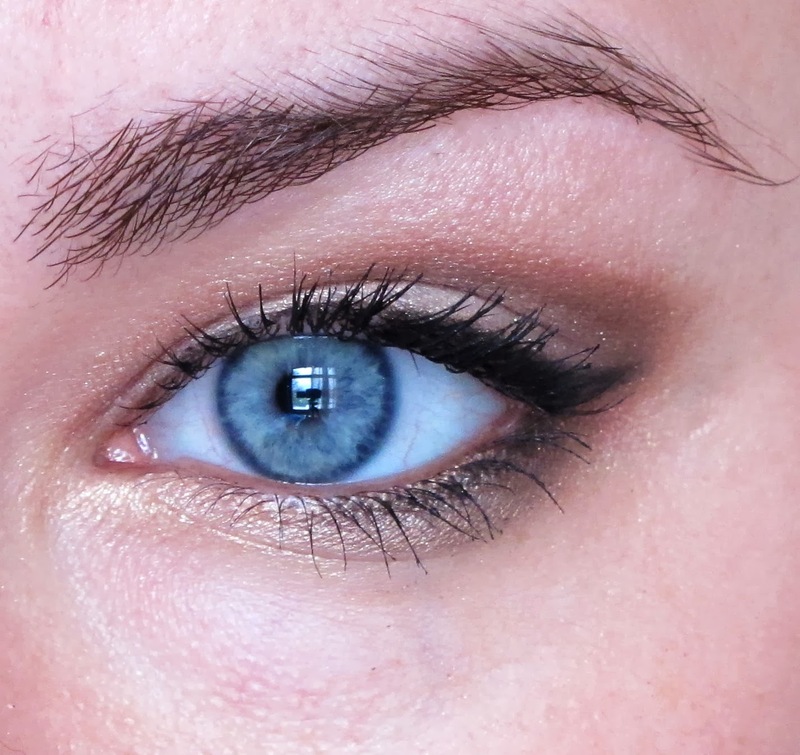 Finish off with bronze or gold eyeliner on the waterline (I used a MUFE eyeliner pencil) and mascara. Concentrate the mascara on the outer lashes. My camera was dying so I had to combine some steps into one. For the skin, I used my Beauty Blender and mixed Laura Mercier's radiant bronzing primer with my Chanel Perfection Lumiere Foundation. This helps achieve the glowing and slightly bronzed skin that the angels have. 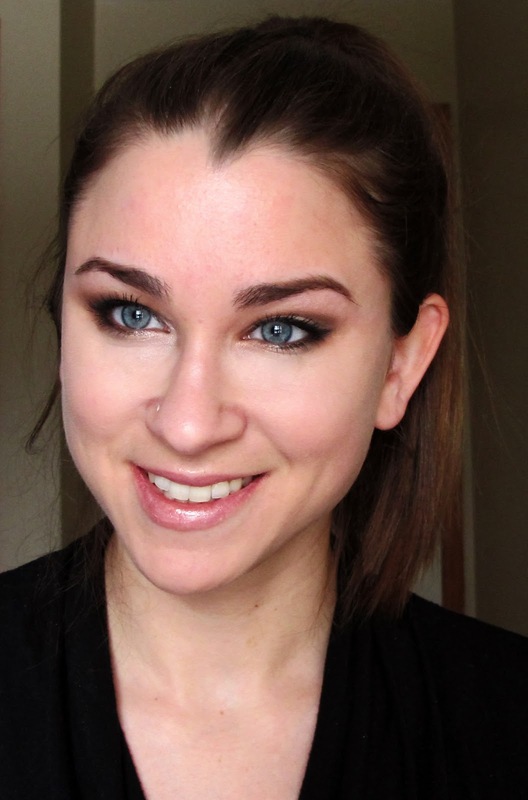 I used my NARS Radiant Creamy Concealer under the eyes and a neutral blush. Since I am in my home town for a few days, I don't have many products with me...but I really wanted a highlighter. I used my Naked pigment and it worked as a great highlight for the cheekbones and upper lip! On the lips, I used L'Oreal Balm in Laze in the Maze with NARS lip gloss in Springbreak. To try and match the angel's effortless waves, I curled my hair with my 1.5 inch curling iron and alternated curling directions. 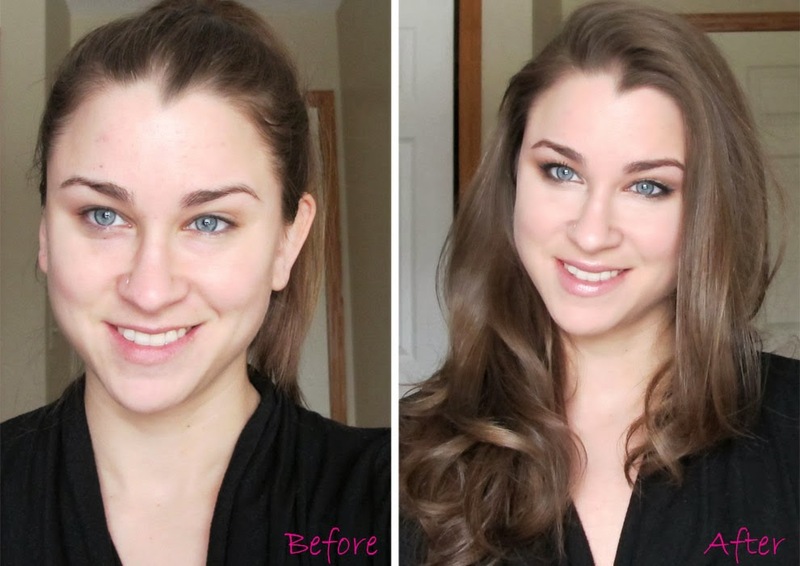 This gives it more of a messy, textured look because the curls are not all going the same way. I love your hair done that way, and your eyes are so perfect, as always, you should be recieiving your honorary wings! !